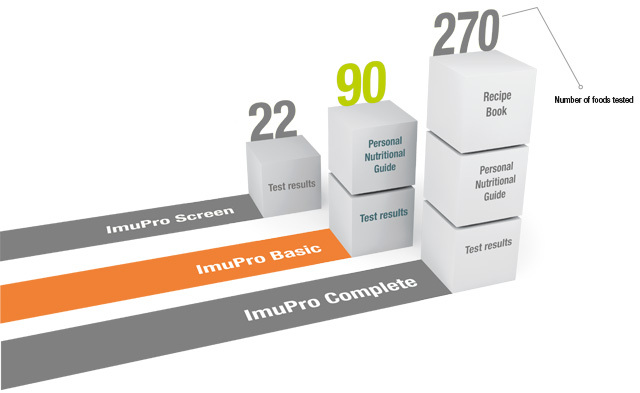 ImuPro Basic tests 90 foods, such as typical kinds of meat, vegetables, fruit, cereals, dairy products and chicken egg. Based on the results of the antibody titre, the foods tested are then categorized into three groups: not elevated, elevated and highly elevated. 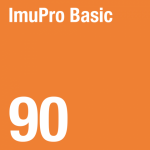 Click here to download an example of an ImuPro Basic result report. In addition to a comprehensive report with accurate results at a glance, you will receive your personal nutritional guidelines which include individual recommendations for your 4-day rotation.